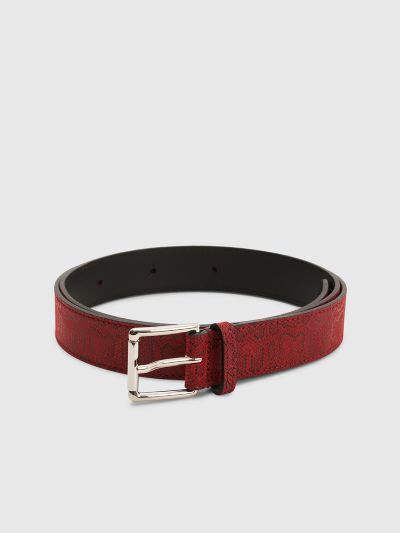 Belt from Très Bien made from leather with snake skin imitation in shades of red. 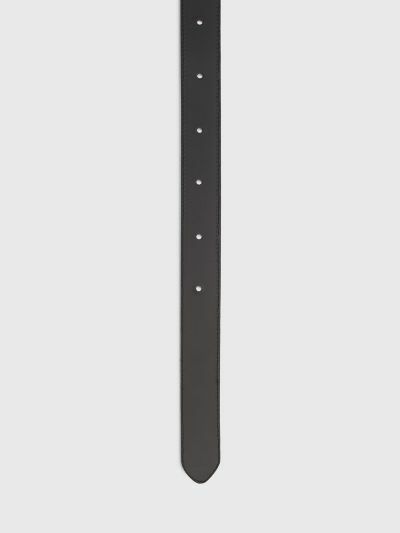 Six holes and a silver colored metal buckle. Gold colored logo print on the inside. 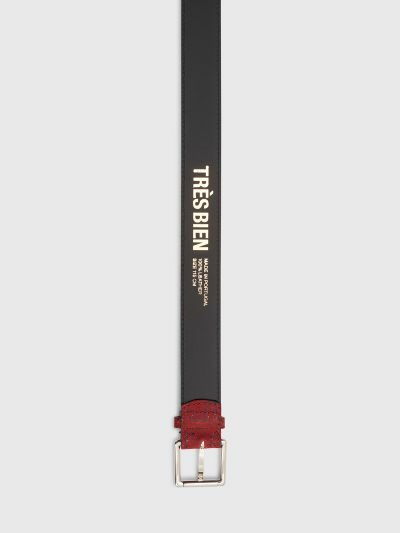 Red and black belt. Made from 100% leather. Metal hardware.